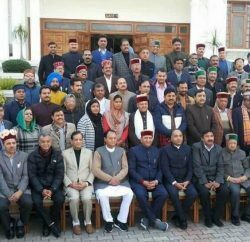 Shimla: Himachal Pradesh Youth Congress president Vikramaditya Singh has asked BJP leader Randhir Sharma to apology for his allegations against him or be ready to face defamation. Vikramaditya Singh, who is a son of Chief Minister Virbhadra Singh, termed the allegations of Randhir Sharma, which he had made in a press conference at Shimla, unsubstantiated and malicious, asked BJP leader to tender apology within ten days, failing which he would be forced to file a defamation case against him in the court of law. In a statement issued here today, Vikramaditra Singh said that the BJP leader was making unsubstantiated personal attack in sheer desperation and frustration as the ongoing probes on the basis of charge-sheet submitted by the Congress Party against the misrule and misdeeds of the previous BJP Government in the State were gaining momentum. 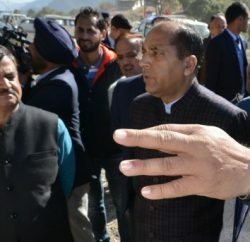 He said that feeling the heat of the on-going investigations, they were indulging in malicious propaganda and mud-slinging against the Chief Minister Virbhadra Singh and his family. He said that Randhir Sharma has raised these false, factually incorrect and politically motivated issues against him just to damage his reputation in public eyes which call for defamation proceedings against Sharma. Vikramaditya Singh said that all allegations regarding financial transactions are absolutely false since these transactions are transparent and totally accounted for. This is fundamental right of every citizen to pursue its business and to buy or sell any property through transparent means. Getting bank details and Income Tax returns of any individual or family members by illegal means is itself an offence which has been committed by Shri Dhumal family. The State Youth Congress Chief said that earlier Arun Dhumal, son of P.K. Dhumal held a series of Press Conferences in Shimla targeting the Chief Minister personally. When he failed to evoke any public response, a National BJP leader raised the same old issues in New Delhi, which had nothing substantial or material in it, he added. Singh said that the BJP leaders were raking up the same old issue time and again to derive political mileage out of it. He said that this shows the frustration of the BJP leaders, who were targeting the Chief Minister and now they have started targeting him. He said that due to the successful Youth Congress rally in Hamirpur recently, the BJP leaders have now started to target him personally. 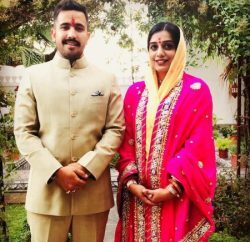 Vikramaditya Singh said that the BJP leaders should analyze their misdeeds before leveling false allegations against somebody. He said that the corruption was prevalent at every level in the State during the tenure of previous BJP Government.